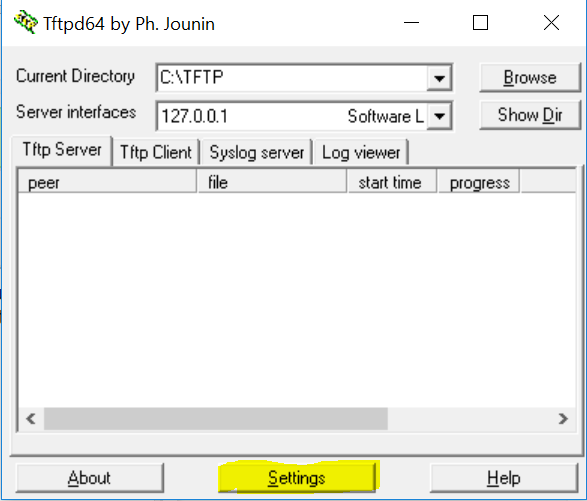 There is an optional filed "Default router" in Tftpd64 settings. I do not want my hosts to receive a default gateway via DHCP in my network. 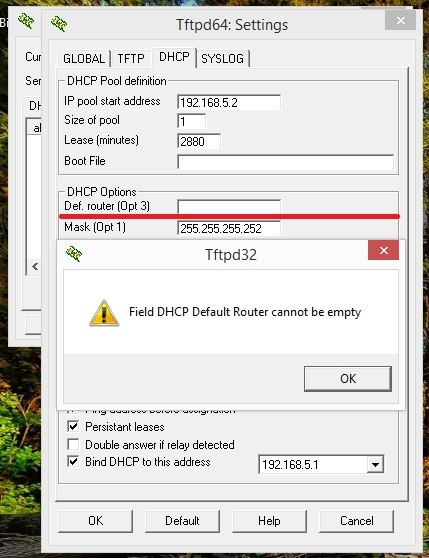 Unfortunately Tftpd64 shows an error when I leave "Default router" field empty. Can you please help me with this inconsistence? How can I avoid sending a default gateway to my hosts? TFTPD service edition, version 4.50 (build Nov 28 2013). Try 0.0.0.0 or else try http://reboot.pro/to...iny-pxe-server/ . I realize this is a really old thread, but I have landed on it multiple times when trying to figure out the same issue. Each time, I have figured it out, but forget how I did it. Anyway, this reply is to remind me later, as well as anyone else who lands on it as I have. 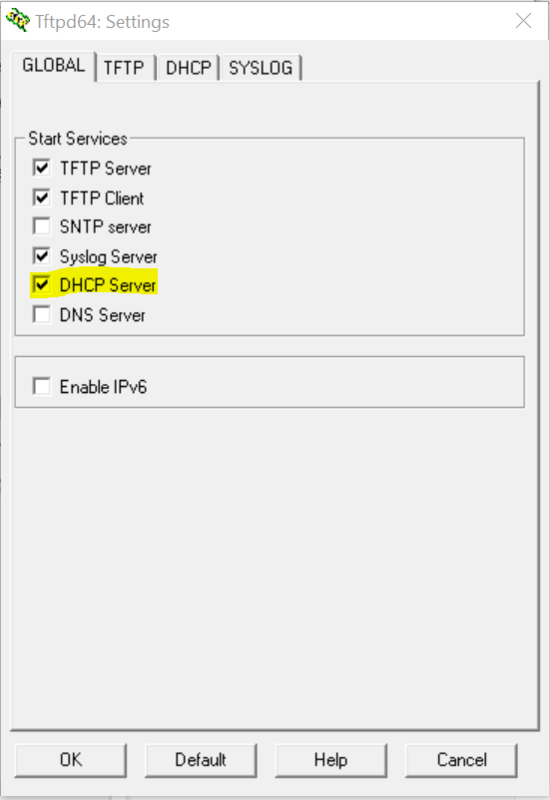 The DHCP field is required because the DHCP server is enabled in the "Global" tab. Make any other changes that you would like to be standard and click "OK". These settings will then be saved and loaded each time you open it. You will need to restart the program for the changes to take effect. Find a different software that doesn't try to force you to do things based on its' creator's wishes.